Y’all it’s that magical time of year again! 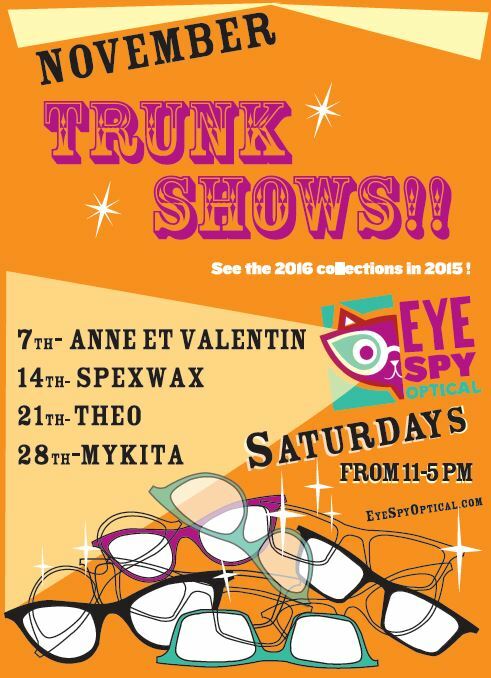 Trunk Show month at Eye Spy! It’s every Saturday all month long! We’ve got all of our favorite lines scheduled to make an appearance! Check out the line up below! 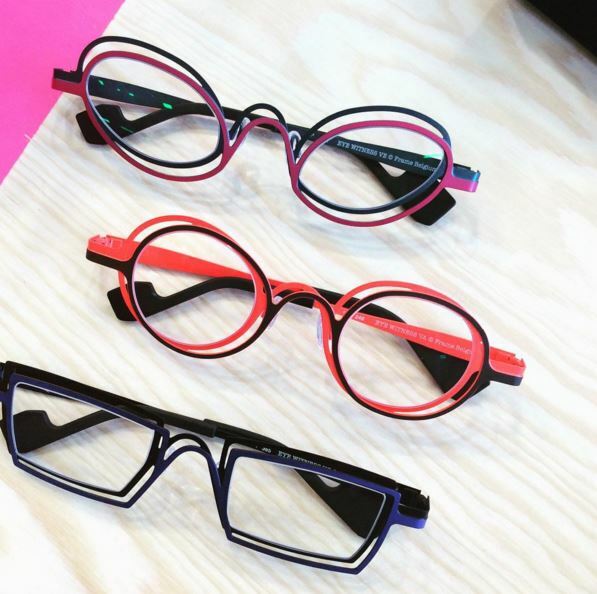 Anne et Valentin single handedly manages to give you just the right amount of color and grace in each of their lovely frames! And while their creations are original, colorful and lively, they are, above all, objects that combine ergonomics, technical requirements, and respect for those who wear them. 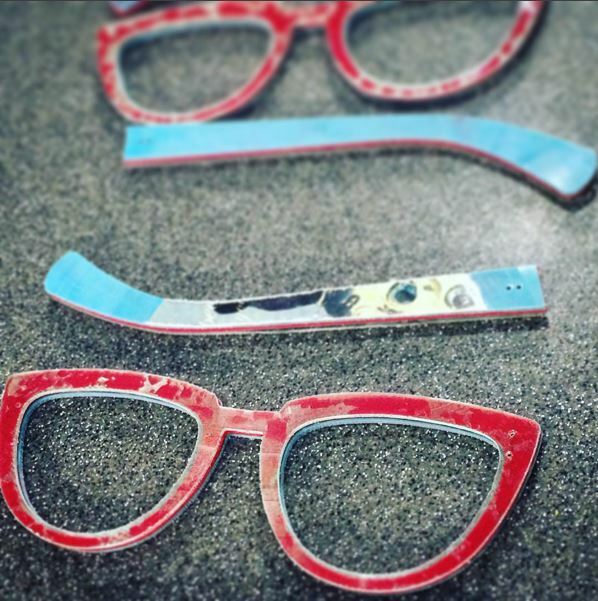 Spex Wax is the ultimate upcycle: art for your face! Rescuing unplayable records, recrafting them with love and artistry that is the very core of Spex Wax. Come and choose from one of their brilliant styles. If for some reason you can’t manage to find your dream pair, you can have one designed for you! Each pair is totally swoon worthy, but don’t take my word for it, come and see for yourself. Theo eyewear is a little bit like magic in the way that their frames are designed. If you are looking for metal or acetate they have got you covered in the smartest, dreamiest way possible. Their pairing of color and shape is on point. Don’t believe me? Come in and see every perfect pair in each incredible color. We will have booze and snacks to make your Saturday that much better. Mykita has been ruling the the screwless hinge game since 2003! Laser cutting and the hand bending of each frame are just the start of Mykita’s effortless perfection. Clean lines and graceful shapes are where Mykita is at. Oh, and did we mention that they are dang near impossible to break? !